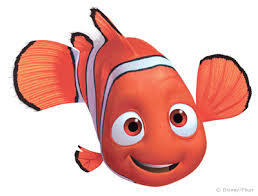 What a horrible message to the entire youth of our great world, courtesy of Nemo’s Dad. Way to go Marlin. I think true entrepreneurs are numb to what people tell them they can’t do. They might hear it, but find so many ways to shake it off, let it go, rationalize the input. Now on the other side, the oblivious “I can do anything” is just as bad. The inability to filter the what and how but critically ‘why’, is a killer of good ideas, that will actually work. It’s a confusing state an entrepreneur can find themselves in most days. They don’t feel confused, they feel confident, but for those observing from the outside, and for those that have been through a variety of can/can’t experiences, can see it. The brain gymnastics become an art form to convince yourself (delusion) and also get it done in a practical way (execution). 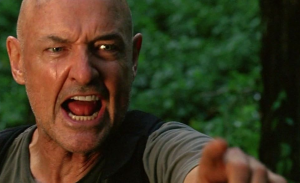 So what can help, when stuck between Marlin and John Locke? The thing that can connect these two needed attitudes of can and can’t, is a mentor, or more important, a set of mentors. Individuals that don’t know each other, but they know you. This is beyond a board of directors, who can help serve this purpose, but they typically protect the business from the entrepreneur, not really the entrepreneur from themselves. Finding a mentor is not magical, likely doesn’t start with a google search, but with your ability to network and listen. Mentors sometimes happen by accident. They just click. Being open to help, using ears instead of mouth (impossible for most of us) is what builds a good mentor base. A form of confident humility.